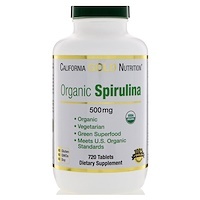 Peppermint Oil has been recommended for centuries by traditional herbalists for the support of healthy digestion. 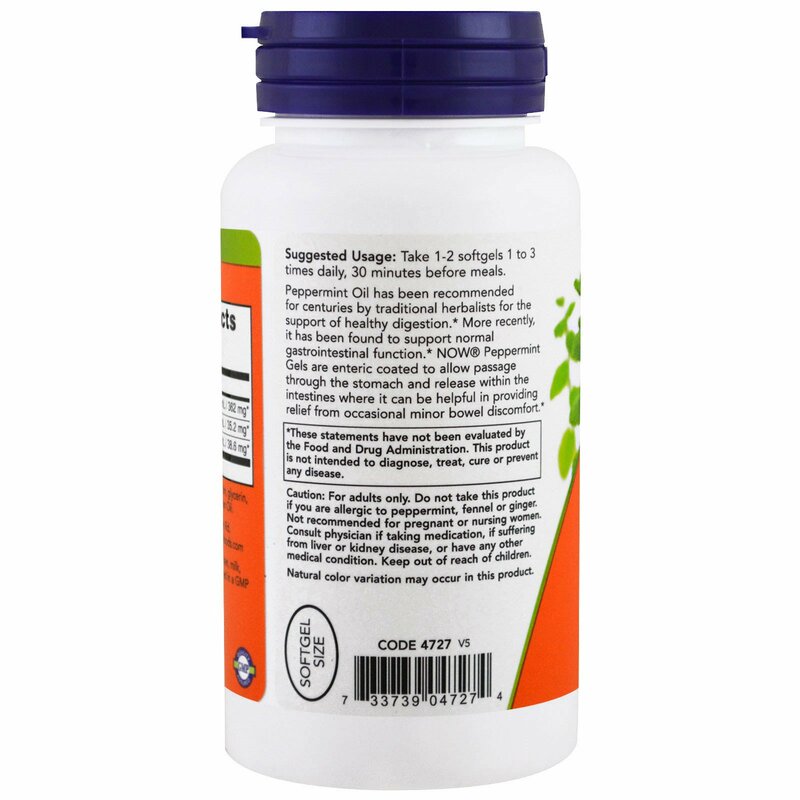 More recently, it has been found to support normal gastrointestinal function. 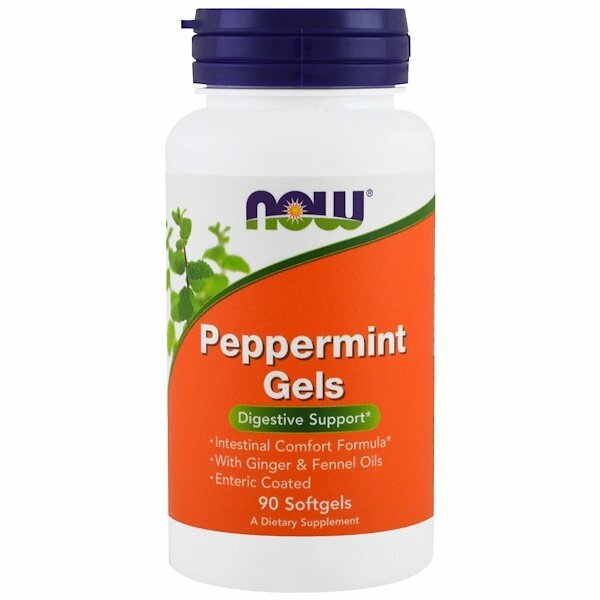 NOW Peppermint Gels are enteric coated to allow passage through the stomach and release within the intestines where it can be helpful in providing relief from occasional minor bowel discomfort. 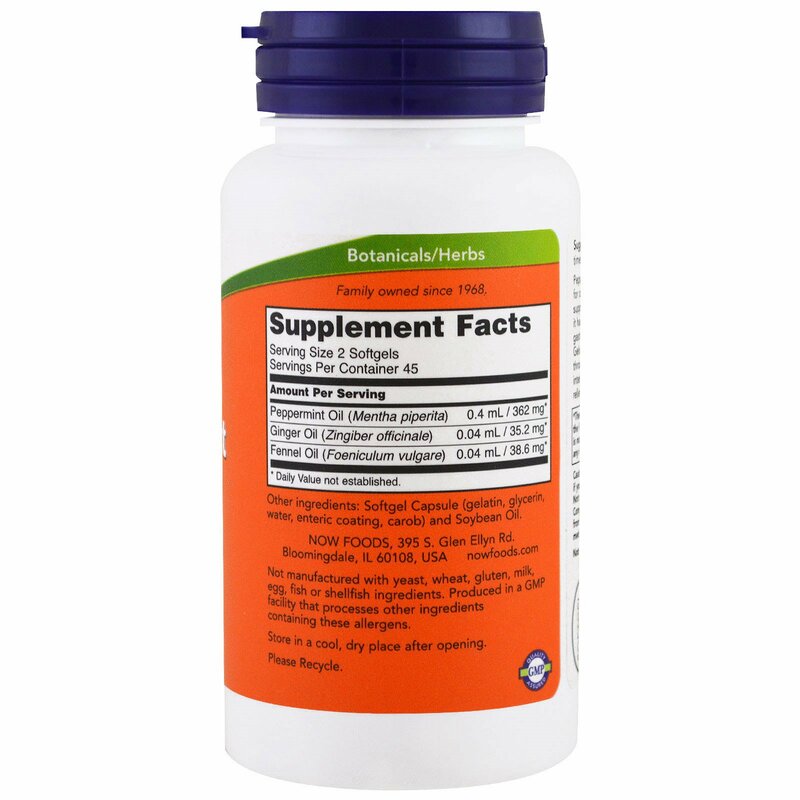 Take 1-2 softgels 1 to 3 times daily, 30 minutes before meals.